Montenegro puts a lot into the music education and almost every municipality has a school for elementary music education. Today is the day for the youngest music students to show how talented they are! 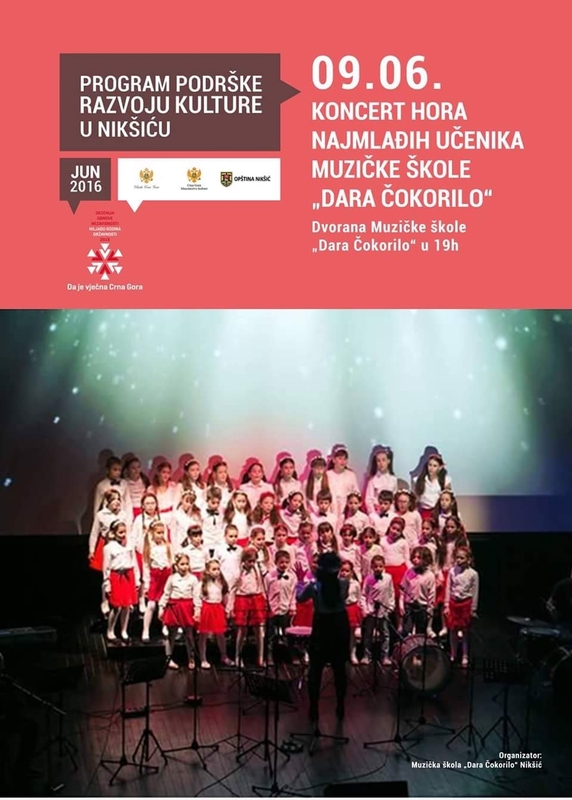 Music school 'Dara Cokorilo' from Niksic will present you their youngest choir this evening, made of students from 6 - 9 years old. The conductor will be their enthusiastic professor, Milena Popovic, who has given a lot of hours in practising classic and evergreen melodies with her young and amazing students. The concert is part of the 'Program for supporting culture development in Niksic' but also is dedicated to the celebration of the 10 years since Montenegro regained its independence. If you happen to be in Niksic, pass by the Concert Hall of the Music School at 7pm and treat yourself with an hour of relaxation and enjoyment. It is not important if you don't speak Montenegrin, because music is our common language!